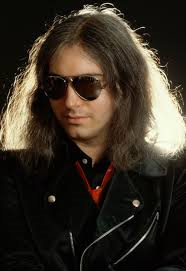 This entry was posted on January 23, 2014 at 2:43 pm and is filed under films, Music, Rock, soundtracks, Uncategorized with tags Bad For Good, Bat Out of Hell, Classic Rock, hard rock, Heavy Rock, JIm Steinman, Meatloaf, Todd Rungren, Utopia. You can follow any responses to this entry through the RSS 2.0 feed. You can leave a response, or trackback from your own site. 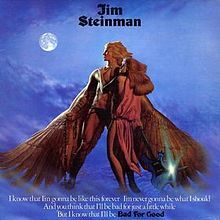 I was enough of a “Bat Out Of Hell” fan to be super-excited when the lackluster “Dead Ringer” was released 4 years later ( I bought it on the day of release), but for some reason I never picked up this Steinman record even though I considered buying it many times. Based on your review, I’m thinking I should finally get it…if I can find a cheap copy of the LP, of course. It’s amazing how current that album cover seemed back in ’81, and how ridiculous it looks now. Ditto on the album cover. I will be visiting “Dead Ringer” down the line. Hopefully a cheap copy can be obtained, unlike The Fools. I saw that album going for $81! As long as I can get it on You Tube, then Dead Ringer shouldn’t be a problem. It is good to see that vinyl has come back but you’re right, the comeback is driving prices through the roof. I always find it a bit disappointing when a record you like is the only one. Especially when artists that bore you can have like seven or more albums. I know what you mean. He could have put out another one. I read a interview where Def Leppard had to sell a ton of copy’s of Hysteria (which they did of course ) to pay off Steinman after they gave him the boot early on in the recording of Hysteria. None of this surprises me and like most people in the music industry, he is an interesting character. I didn’t know that about Def Leppard, thanks for enlightening me.